Hyde Park, NY – Three suburban couples desperately trying to lead perfectly happy lives are at the heart of cul-de-sac by John Cariani which opens Saturday, April 29 at Half Moon Theatre. Cariani, a Tony-nominated Broadway actor (Fiddler on the Roof, Something Rotten! ), is also one of North America’s most-produced playwrights, best known for Almost, Maine and Love/Sick. Directed by Michael Schiralli, cul-de-sac features an all-star cast of six actors from New York City and Chicago: Michael Borrelli, Katie Hartke, Sean Hayden, Samantha Jones, Molly Renfroe Katz, and Bruch Reed. They play three married couples—the Smiths, Johnsons, and Joneses—who live on a nice little street, in a nice little suburb, in a nice little state, in a nice big country. As the play begins, it is an ordinary spring evening and they’re all very happy—or trying desperately to be. The extreme measures they take to achieve happiness—or at least look happy—are both hilarious and haunting. Cul-de-sac “is a psychological—and real—thriller that examines the American dream and the nightmare it can become,” says Cariani. Cariani’s previous plays have been tremendously popular with high school students. In 2013 Almost, Maine replaced Shakespeare’s A Midsummer Night’s Dream as the top play performed in high schools. Up to 1,600 high school students will see cul-de-sac at school matinee performances and participate in discussion forums with the playwright, thanks in part to a grant from AT&T in memory of the late Valerie MacKay, local resident and former Half Moon Theatre board member. Cul-de-sac will be performed at The Culinary Institute of America’s Marriott Pavilion on weekends from Saturday, April 29, 2017 through Sunday, May 14, 2017. Weekday matinee performances for schools and community groups will be held on Wednesday, May 10 and Thursday, May 11 at 10 a.m. Tickets for cul-de-sac range from $20–$45 and discounts are available for groups of eight or more. For the 8 p.m. show on Saturday, April 29, patrons have the option to purchase Premier Tickets, which include an exclusive Opening Night Party with the artists after the show. Premier Tickets are strictly limited and must be purchased in advance. In addition, specially priced pre-theatre dining is available at CIA restaurants by calling 845-905-4533. 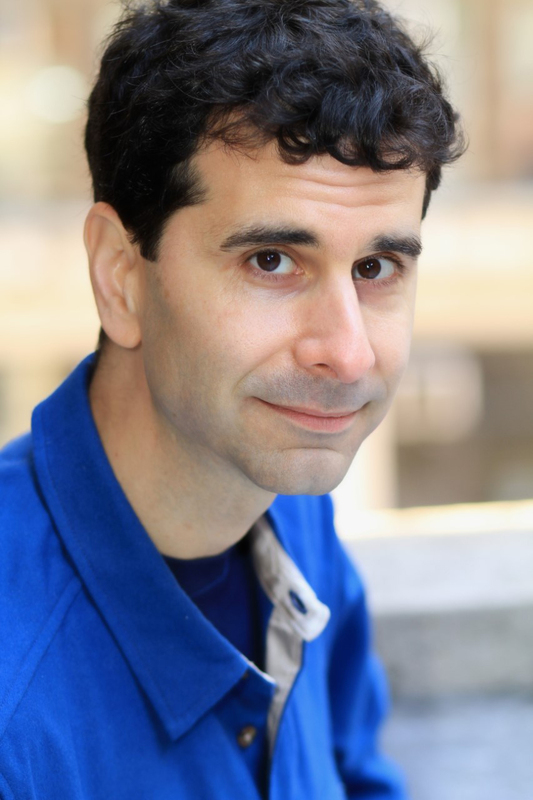 As a playwright, John Cariani is best known for Almost, Maine, his first play and one of the most frequently produced plays in the country, now translated into more than a dozen languages. Macmillan Imprint Feiwel and Friends has signed John to develop Almost, Maine into a young adult novel. Cariani’s plays Last Gas and LOVE/SICK are published through Dramatists Play Service. Cariani is also a Tony Award-nominated actor. He made his Broadway debut in the 2004 revival of Fiddler on the Roof as Motel the Tailor; he received the Outer Critics Circle Award and a Tony Award nomination for his performance. He was nominated for an Outer Critics Circle Award for his performance as Nigel Bottom in the recent Broadway hit Something Rotten! On television, Cariani is best known as Forensics Tech Beck on NBC’s Law & Order. He has had recurring roles on CBS’ Numbers and on the IFC’s The Onion News Network and has recently guest-starred on Homeland, The Good Wife, and The Blacklist. Notable film work includes Showtime (with Robert De Niro), Scotland, PA (with Christopher Walken), and Elephant Sighs (with Ed Asner). Originally from Presque Isle, ME, John is a graduate of Amherst College. He lives in New York City. Founded in 2006, Half Moon Theatre (HMT) is the Hudson Valley’s only year-round professional theater company. HMT brings plays and musicals from Broadway and off-Broadway to the Mid-Hudson region and supports the development of new work by American playwrights, composers and lyricists. The mainstage season is presented at the Marriott Pavilion on The Culinary Institute of America campus in Hyde Park, NY. HMT also operates a School of the Arts and a Studio Theatre in Poughkeepsie, NY. HMT’s Educational programs cultivate a new generation of theater artists and fans through in-school residencies, theater classes, and professional trainings. The HMT Junior Company creates and performs free shows at hospitals, senior centers and community events. Half Moon Theatre’s performances, education and outreach programs serve over 15,000 youth and adults annually, enhancing the quality of life for local residents while also promoting tourism in the Hudson Valley. HMT is the recipient of the 2015 Dutchess County Tourism Arts Award of Distinction and 2014 Dutchess County Executive’s Arts Organization of the Year by Arts Mid-Hudson.